The Historical Dictionary of Baseball contains a chronology, an introductory essay, appendixes, and an extensive bibliography. The dictionary section has over 900 cross-referenced entries on the roles of the players on the field-batters, pitchers, fielders-as well as non-playing personnel-general managers, managers, coaches, and umpires. There are also entries for individual teams and leagues, stadiums and ballparks, the role of the draft and reserve clause, and baseball's rules, and statistical categories. 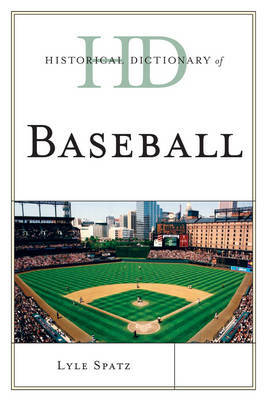 This book is an excellent access point for students, researchers, and anyone wanting to know more about the sport of baseball.